The life and times of the most recent parish priest of St Joseph`s and St Wilfrid`s, Gateshead. After the installation Mass for bishop Byrne last Monday, I had a Low Mass for the Feast of the Annunciation, in the evening. 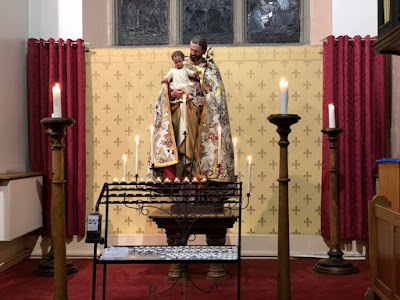 I hadn`t thought to have this originally but I was asked on the Saturday before if there would be a Mass and so I said yes. 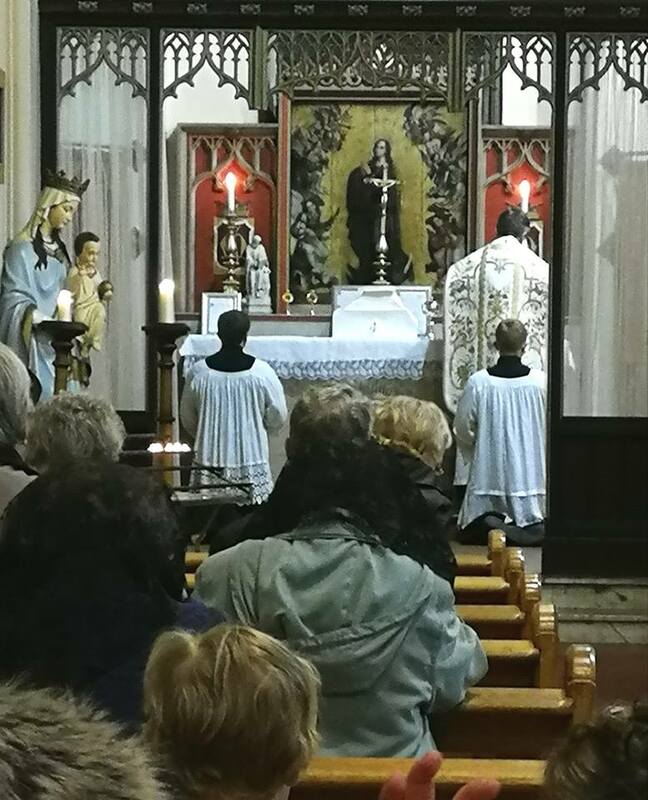 I was expecting about six people and so suggested we use the Lady chapel for the Mass. To my surprise and delight we had twenty-two people which made it a bit crowded in the benches on the chapel size but it made a lovely ending to a momentous day. Meanwhile in the other aisle, St Joseph has been in his best cope since his feast until yesterday. There have been a couple of other additions to the church`s statues of saints which I`ll add soon. Anonymous comments will not be published. Please give yourself some kind of name at least. The angel of the Lord appeared to him and said to him, “The Lord is with you, you mighty warrior.” 13 Gideon answered him, “But sir, if the Lord is with us, why then has all this happened to us?